The American Association of Orthodontists recommends that you take your child to see an orthodontic specialist, like myself, at around 7 years of age. The first visit is a complimentary examination, to see if there are any problems. If none are found, your child needs regular orthodontic checkups, to make sure no problems develop. I will continue to monitor your child's growth, free of charge! 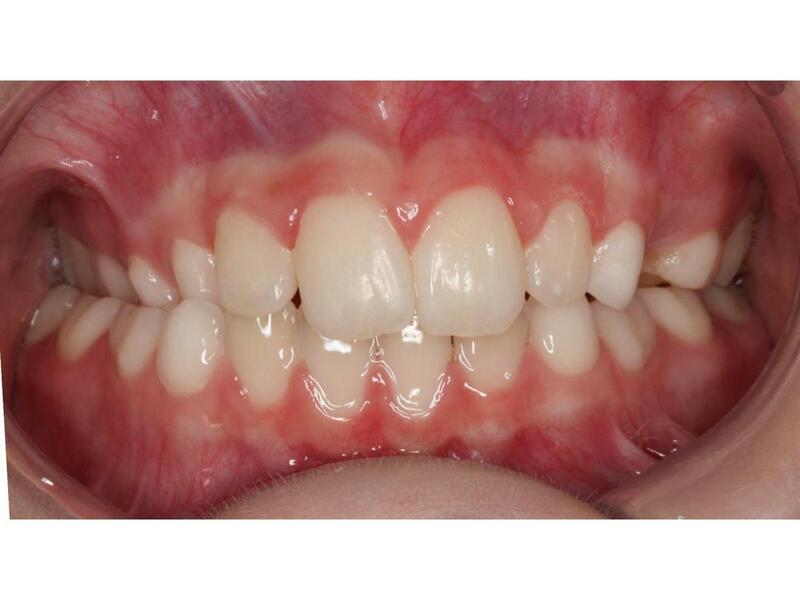 Some orthodontic problems need to be treated at an early age, around 7 to 10 years old. Some of these problems are preventable. I recommend working with your child to stop habits like thumb sucking once adult teeth start coming in. Braces work because constant, though slight, pressure can move teeth, and change the jaw alignment. When there is something (a thumb) between the upper and lower teeth most of the time, this constant pressure has a similar effect – except it causes, rather than corrects, bite, and jaw alignment issues. If your child has problems similar to any of those below, please bring him or her to see me for a complimentary evaluation. These problems may benefit from early Phase I treatment. A constricted upper jaw can cause a posterior crossbite (on the back molars), where the upper teeth rest on the wrong side of the lower teeth. 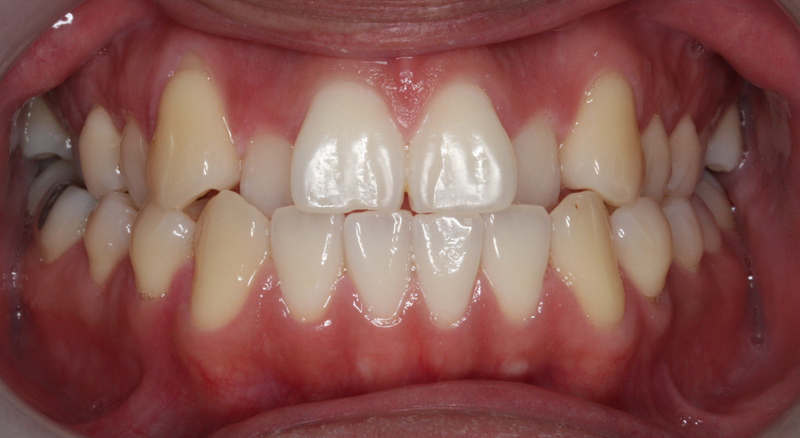 Anterior crossbite causes the upper teeth to become trapped behind the lower teeth. Front teeth are flared out. Often called buckteeth, this can be caused by thumb sucking. An open bite, where the upper and lower teeth move apart from each other. I understand that some kids may be hesitant to wear braces, and I won't recommend treatment unless it is truly beneficial. This is usually the first stage of orthodontic treatment. In some cases, short-term treatment at this age can prevent future problems, and reduce the time your child will need to wear braces as a teenager. 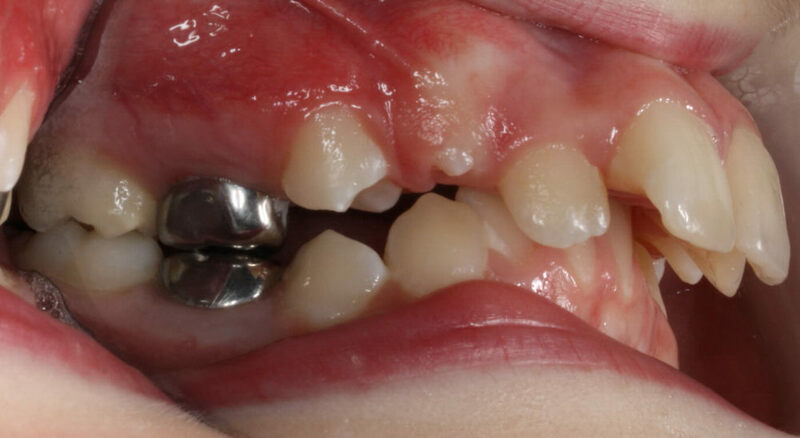 Sometimes kids do want braces, for cosmetic reasons. I know little ones are embarrassed by crooked smiles just like adults. If you believe your child may benefit socially from orthodontic treatment, come to Just Smile Orthodontics, and see how we can help. If you think your child might need braces, bring him or her to me for a complimentary consultation. 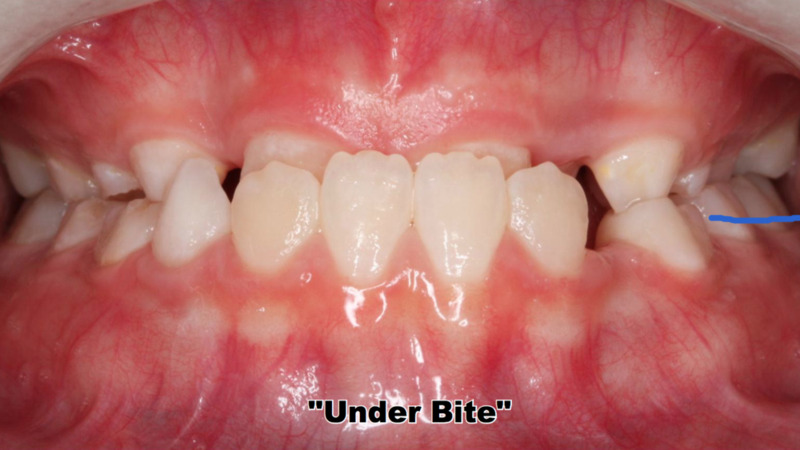 An underbite may be caused by an undergrowth of the upper jaw and/or overgrowth of the lower jaw. Early treatment of this condition as part of a multiphase orthodontic and orthopedic procedures may be important to get a good result. 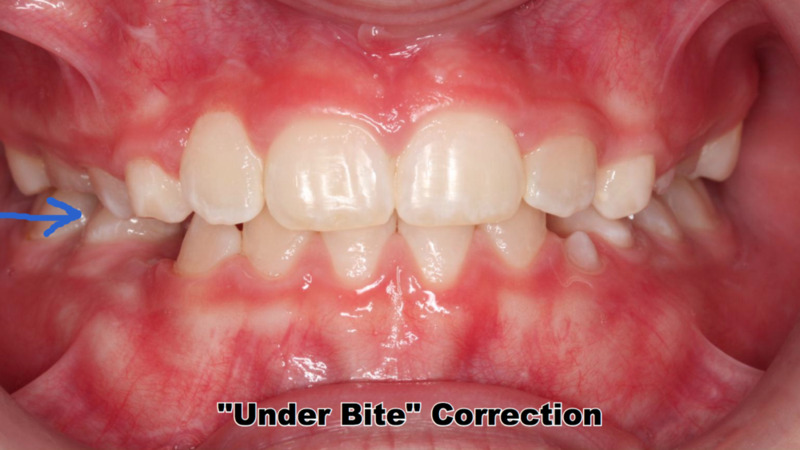 After Phase I Early Orthodontic Treatment the Under Bite is corrected. Orthodontic Braces Tucson - How early should my child get braces?